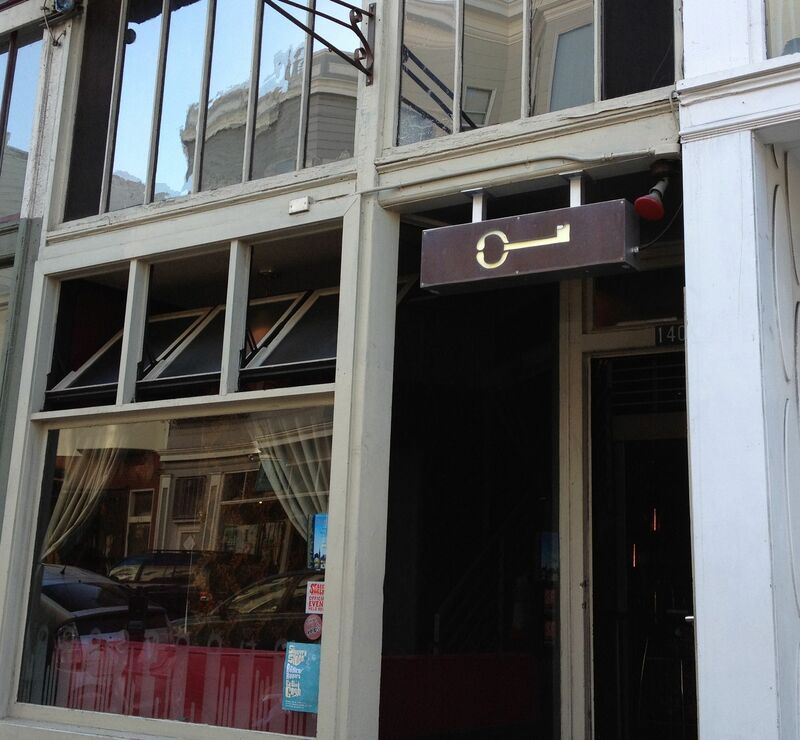 The Church Key brings San Francisco’s North Beach craft beer scene to one of the classic streets of this neighborhood. Located near the northeast corner of Grant and Green Streets, it is recognized from the outside only by a small sign over the door picturing a key. Inside you will find a very nice selection of draft and bottled beers. It’s a small space which utilizes 2 floors for cozy seating. Their taps rotate frequently and the servers here are usually very knowledgeable about the beers they serve. They serve wine also, and offer some food selections. Extras: Be sure to explore nearby beer destinations or restaurants in North Beach and Chinatown. Take a walk to Rogue’s extensive taphouse and then another few blocks to La Trappe for an extensive collection of Belgian beers in their subterranean bar. Exit BART through the exit labeled A1 onto the north side of Market St. Turn right out of the exit and then left on Montgomery Street. Walk about 7 blocks to the TransAmerica Pyramid building, then soft left up Columbus for two blocks. Continue onto Grant on your right after you cross Broadway. A few steps past Green Street look for a door with a large key suspended above it. I’ve stopped in Church Key a few times and really enjoy their selection. The drafts are usually $7. The size of the pour varies based on alcohol volume or rarity of the beer. I usually get the $2 mystery beer. Try it for yourself.